Capri-Battery by Joseph Beuys. This is a photo of a remake of the original sculpture by Beuys. Gave a workshop and talk at United World College Atlantic Sustainability Conference on the 20th March 2014. Isn’t this Beuys’ Capri Battery? Would be nice to see a reference… I see your site is ‘all rights reserved’. The conference you did was inspiring and important. But it is good to reference properly. Hi Shelley, Sorry about my late reply to your comment. Running a bit behind. 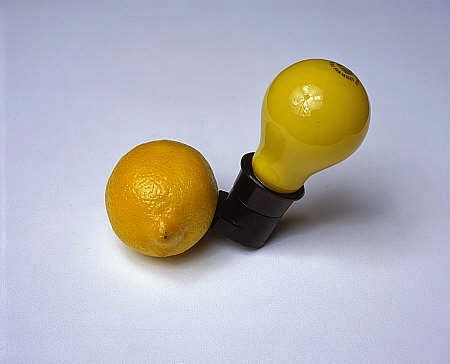 You are totally right that I should have referenced the photo, although this actual photo is not of Beuys’ Capri Battery but a replica made by someone else. But never the less it is important to reference. I just simply forgot so thank you for reminding me.